CHARLESTON, SC (WCSC) - The Citadel announced Tuesday that it plans to raise its tuition for the 2019-2020 school year. Upper-class in-state cadets will now pay $25,055, $617 more for the all in rate while out-of-state cadets tuition will go up $1,179 tp $48,089. Freshmen, whose charges are higher because of first-year uniform purchases, will pay $30,265, up $602 while out-of-state freshmen will pay $53,299, up $1,164. The Board of Visitors also approved a 2.5 percent increase for the evening undergraduate program, which is a raise of $12 per hour for in-state and $23 per credit hour for out-of-state evening undergraduate program students. “The Board of Visitors determined that while a modest tuition increase is necessary, the on-going efforts to control costs and increase efficiency across campus support a raise of 2.5 percent, rather than the higher national projection for all institutions,” Col. Fred L. Price, Jr., Chairman of the Citadel Board of Visitors said. “We made the decision to set the tuition rates now to give cadets, students and their families more time to plan as they apply for financial assistance or make decisions about what college or graduate college to attend." 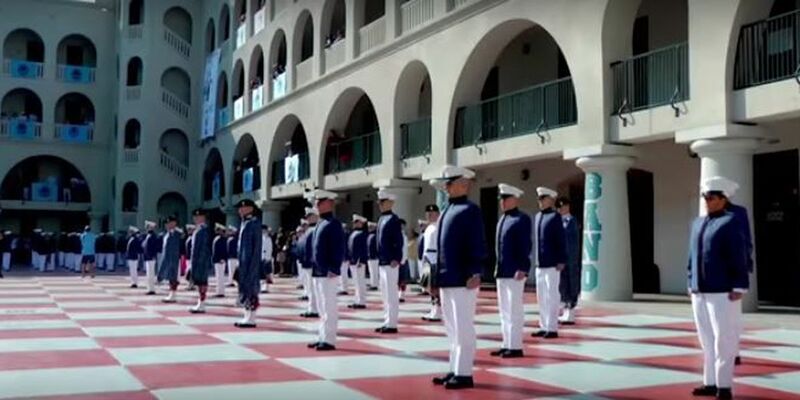 Citadel officials say the school’s fee structure is different from other schools because the costs of room and board are in addition to the multiple military uniforms needed. The undergraduate students must also live in the barracks, eat all meals in the mess hall and wear uniforms on-campus. Laundry, dry cleaning and books are included in the all-in rate, but does not include lab fees or other costs associated with different majors. The state provides 7 percent of the school’s annual operating budget.